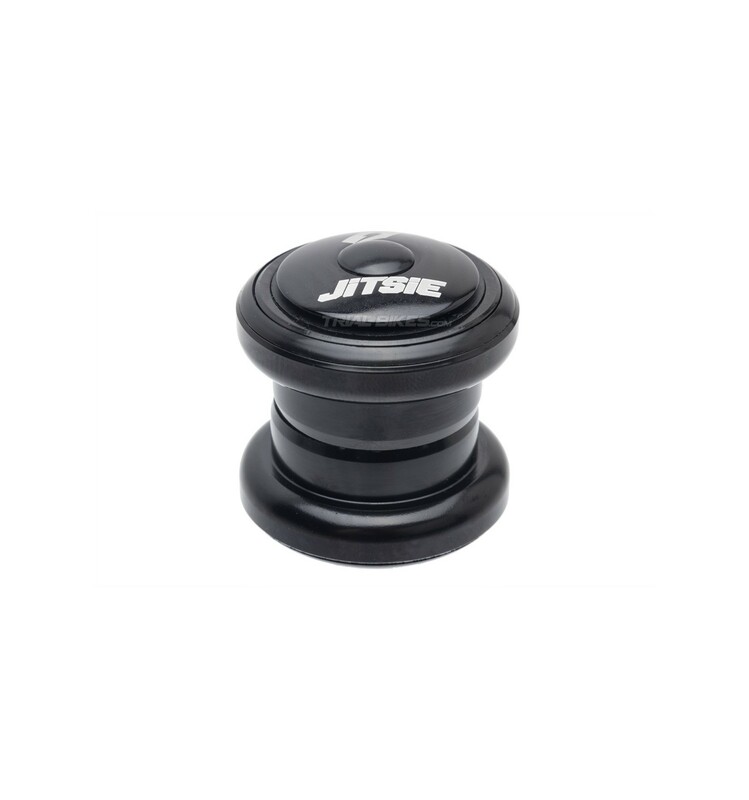 - New standard headset from Belgian brand Jitsie. 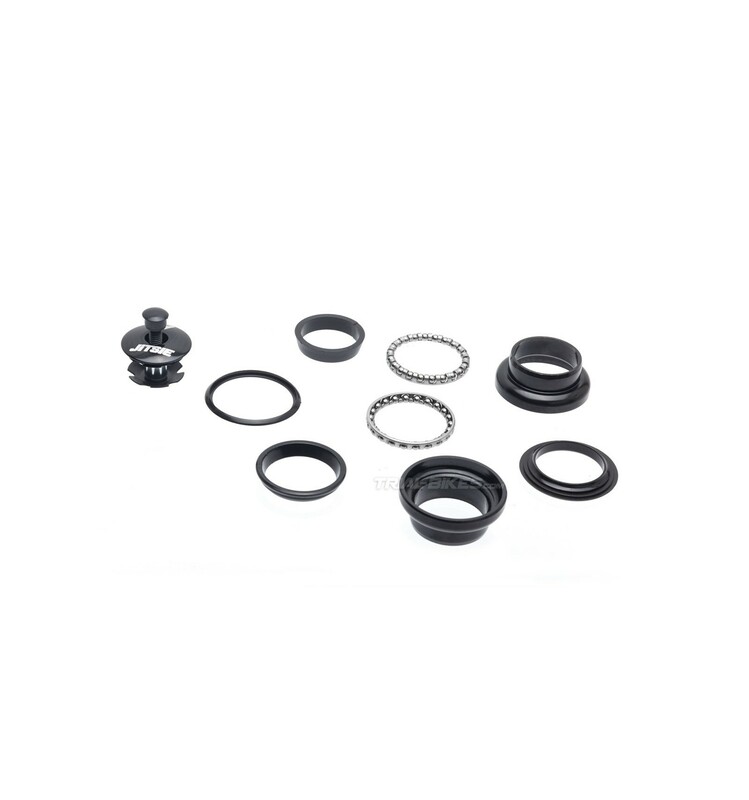 - Suitable for 1 1/8” headtubes. - Made from a high quality aluminium alloy. 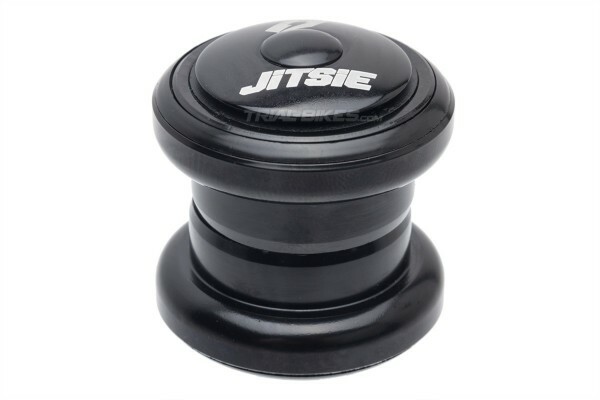 - Features caged ball bearings that work fine and help lower the price. - Can be used with most frames designed for using a standard headset. - Supplied with top cap, star nut and steel bolt, ready to fit. - Anodized black finish, with white laser etched Jitsie graphics.